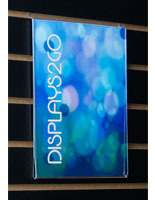 These Slatwall Sign Holders Hold 5-1/2"w x 8-1/2"h Graphics! 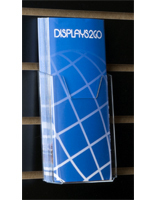 Buy These or Other Slatwall Displays From StoreFixture.com! Designed for a half-sheet of standard paper! These sign holders are a necessity in any retail environment. In today's retail environment, customers want to know the facts about the products they are buying. These sign holders do it all! 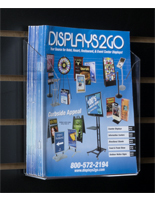 These slatwall accessories, sign holders can be used to communicate information or to advertise new products. 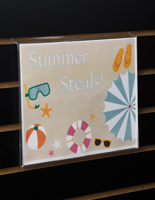 These 5-1/2"wide x 8-1/2"high sign holders are suitable for most standard slotwall panels without having to use any adhesives, glues, or hardware. 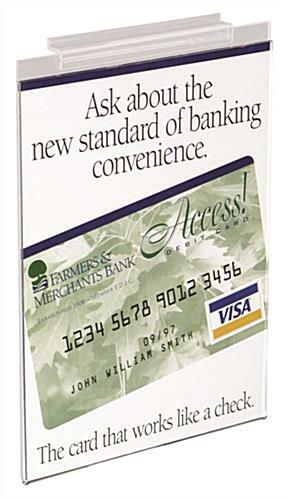 Our sign holders were designed with convenience in mind by allowing you to make a custom sign. Just print a landscape sheet, cut it in half and display your work of art! 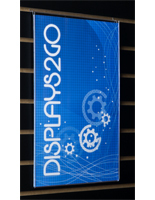 These sign holders, also known as slatwall frames, are economical and efficient marketing tools. 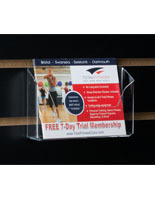 These slatwall sign holders provide a medium to display additional information such as product contents and benefits. 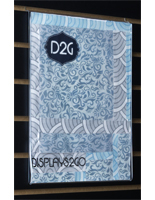 The holders are made out of clear acrylic for a complete view of your graphic or print. Great Value!